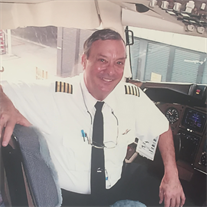 Notification with the passing of retired Delta pilot Captain John Ewing Quicksall, age 74. Captain Quicksall joined Delta Air Lines 04-09-1973 and retired in 2002, based 030/ATL. He is survived by his companion Delores Kania, his children and grandchildren. Should we receive more information we will be sure to update our memorial site. John Ewing QUICKSALL, 74, passed away February 3, 2017 at Bay Pines VA Hospital. John, a resident of Gulfport, and born in St. Petersburg, was the third generation of Pinellas county's pioneers. He was predeceased by his parents, Dr. John Braden Quicksall and Frances Marian Ewing Quicksall; and grandparents, Dr. William Edward Quicksall and Florence Braden Quicksall, and Mabel Stokes Ewing all of Old St. Petersburg. John graduated from St. Petersburg High School in 1960. He attended the University of Florida and graduated from Embry-Riddle Aeronautical University in Daytona Beach, FL with a degree in Aeronautical Engineering. He served in the Navy from 1966-1970 during the Vietnam Conflict and retired from Delta Airlines as a flight Captain after 30 years of service. He had a life-long passion for airplanes and flying. He flew around the world and taught flying for Delta based in Atlanta. In the Navy, he flew as navigator into hurricanes to take wind measurements. He was an avid bicyclist and rode every Saturday with friends and was a former member of St. Petersburg Bicycle Club. On the day before his death, he rode his bicycle from the Chattaway Restaurant to Munch's Restaurant, where he ate breakfast with Bob Lindberg, Dr. David Hill, and three other friends. When he was a young man, he rode his bicycle from Marietta, GA to Miami, FL in five days. He was a mathematician who enjoyed solving math problems. He attributed his love of math to his favorite teacher, Mrs. Hancy of St. Pete High School. He was a member of the St. Petersburg Yacht Club. John is survived by his companion and caregiver, Dolores Kania; his son, John Jacob Quicksall (Jenny) of Thousand Oaks, CA; two granddaughters, Abby Joy and Allie Lynn Quicksall; daughter, Elizabeth "Betsy" Marie Quicksall Rowe (Matti) of Boulder, CO, awaiting the birth of his third granddaughter. He is predeceased by his brother, James Montgomery Quicksall, survived by his brother, Edward Stokes Quicksall (Mary) of Ponte Vedra Beach and sisters Elin Quicksall Fowler Mullins (Patrick) of Marietta, GA and Anna Maria Island, and Marian Elizabeth "Maribeth" Quicksall Brannen (Bill) of Alpharetta, GA. He was loved and will be missed. The interment and a memorial service will be held for family and friends in May, 2017, at the Bay Pines National Cemetery.
. Published in the Tampa Bay Times on Feb. 6, 2017.